The old man takes the roots that he has cut from the herbs and rinses them thoroughly under the tap to get rid of the soil. Then he puts the roots in an old cooking pan and covers them with water. Closing the tap, he gazes down at the content, shaking the pan a little with short jerky movements, as if to ascertain that the roots are in the required amount of water. He moves over to the gas cooker, holding the pan firmly with both hands. Placing the pan on the cooker, he lights the fire, playing with the knob until he is satisfied that the flame is of the right intensity. He places the pan over the fire and puts on the lid. Heaving a long sigh, he moves away. The old man moves slowly, with the stooping and shuffling gait characteristic of the octogenarian Seychellois who has spent a lifetime toiling on coconut plantations under the scorching sun, and now with old age, is suffering from certain infirmities of health. Such, as occasionally, like now, intestinal pains. And the roots that he has put in the pan of water to boil are the roots of the common weed called gerivit (Blue fleabane). It grows wild at his home in the forest of Takamaka, in the south of Mahé. Usually, he boils the roots together with leaves of bwa malgache. Well today he can’t be bothered. The gerivit roots alone will do. They have never failed him. The decoction will work. It was as a child that Polixene, the old man, discovered the marvellous virtues of gerivit. That was when his grandmother had put a cataplasm of gerivit leaves on a bad wound that he had on his knee. Those herbs did magic. In less than a month his wound had completely healed. Polixene had often seen his grandmother pick all sorts of herbs from the woods, which she then put in a large kettle to boil on the cooking fire out in the backyard of the house. Later, in the evening the family would drink the warm and mildly bitter liquid in large mugs. This is eventually where he learned about herbal drinks that were good in relieving various ailments but that could also promote good health at all stages in life. His grandmother must have learnt about the medicinal properties of various plants from her own grandparents who must have been among the African slaves who were brought to Seychelles by the French settlers in the middle of the 18th century. Those slaves must have acquired some knowledge of medicinal uses of plants from their African ancestors. When they were afflicted with a sickness or disease, an ailment of some kind, or they got an injury or a wound in the course of their toil on plantation estates, they must have sought to find relief or a cure from plants and herbs around them. Their knowledge have been passed viva voce from generation to generation so that today, we find recourse in a particular plant for a particular ailment when even the most modern prescription medicine proves to be exasperatingly ineffective. During the French period, when the French settlers from Bourbon (Reunion) and Ile de France arrived on Mahé in search of land concessions to establish our agricultural economy they too must have had a notion of medicinal plants which they must have put to practice at one time or another. Later, in the mid 19th century, with the influx of Indian and Chinese immigrants whose cultures have a history of herbal medicine, our pharmacopeia of traditional medicine must have acquired some valuable additions when more plants that also grow in Asia were identified as having medicinal properties. Today, if we dare drink an infusion of mont-o-syel (Man piab), when that abdominal pain becomes unbearable, it’s because someone far away and long ago discovered its efficacy and the knowledge of its curative power was passed from one generation to another. A perfect example of our intangible heritage. Our spices that flavour our most detectable Creole dishes can bring astounding relief to common complaints. Thyme for example, which the Egyptians used to embalm mummies long before the English used it to flavour stews, is an antiseptic, a tonic and a carminative. The fresh herb in syrup can be a good cure for whooping cough. 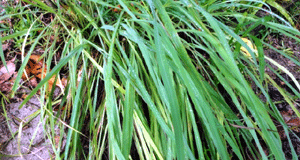 Cardamon which the Indians first used to season their curries is a remedy for indigestion and flatulence. And cardamon, the oldest of spices which Salomon offered to the queen of Sheba, and which was brought to Seychelles in 1772, when administered as distilled water, can also stop nausea. So our magnificent flora evidently consists of purgatives diuretics antiseptics, prophylactics and carminatives that have provided pharmaceutical industries with precious ingredients to manufacture the precious albeit expensive medicine that we use to treat our various disease and afflictions. Among about the seventy-five plants that constitute our traditional pharmacopoeia, there is quite a few that, besides being used as cures for specific malaises, are appreciated as infusions to promote disease prevention and maintenance of good health. These include fey bigarad (citrus leaves), lanmant (peppermint), Kamomil (chamomile) and sitronnel (citronella) which have been used as such by all ancestors since the beginning of the 20th century. 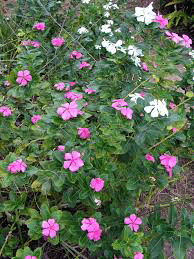 Benzwen (benjoin) which long ago was used to treat diphtheria can be drank as a calmative. It was introduced to the islands of Indian Ocean in 1967 when Joseph François charpentier de cassigny brought it to Mauritius from Bengal. 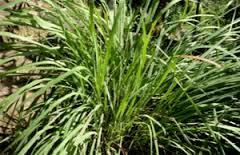 A highly prized plant, its value and importance is recognised by pharmaceutical industries worldwide. The tree yields a gum that contains benzoic acid. This is used in the manufacture of ointment, perfume and medicine. As for Bred mouroum, which the English called horse radish, it is cooked as soup in all Seychellois households. 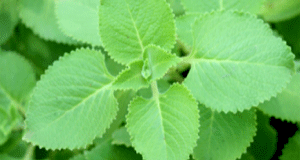 It is recommended by many of our herbalists as an effective treatment for hepatitis. So consuming it ad libitum must be a great health benefit! Anthropologically speaking, there is something fascinating about the way in which the lore of herbal remedies has propagated among different nations, the world in particular, regarding the medicinal uses of the same plant although therapeutic methods may vary. Take gouyav (guava) for example. It is used as a treatment for diarrhoea in countries where different parts of the tree are used for the same medicinal purpose. Here in Seychelles, a decoction of the leaves is the traditional method, where as in Haiti and Columbia, eating the fruit or drinking the juice of the fruit with salt or sugar is recommended. In Dominica it is done the Seychelles way. The marvel of traditional medicine is the versatility of certain plants. 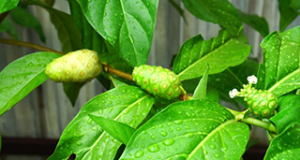 The leaves of katrepeng (Candle bush) are known to be an effective treatment for at least three different ailments: fungal infections, hypertension and ringworm infections. 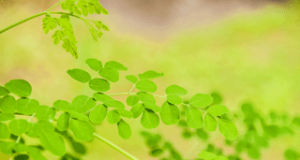 It is indeed a blessing to know that among our common scrub land vegetation and endemic flora there are cures and alleviates for more than a few of our most pernicious health problems. The possibility remains that there are yet more of our plants whose medicinal properties have yet to be discovered and exploited for our health benefits. Now, to go back to our favourite traditional infusions – yes our dite lanmant or tok marya, our dite leker sitron and others. You can enjoy any one among the dozen or so of our infusions as often as you fancy. It could be twice a week or every Sunday evening, and before you know it, you will find yourself craving for that sitronnel night cap or for that yapana fix. 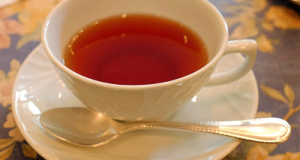 Unfortunately, many people deprive themselves of the health benefits that an occasional infusion could bring. This is because they have been misled by the local sham sorcerers into believing that consumption of herbal drinks should be solely in the context of some witchcraft application. This foolish deception has gained common acceptance by many because in the past there were a few herbalists who concocted infusions for their clients with the assurance that their magic potions would help in the accomplishment of their wishes! No, there is absolutely nothing mystifying about nature’s infusions. It is superstitious self-delusion that makes a person reluctant to enjoy the pleasure of herbal tea unless it is prescribed by the local so called wizard or witch. There is no harm in having a gro bonm infusion without consulting an herbalist. Most of our infusion plants are well-known and the beauty of herbal teas is that you can enjoy different kinds of infusions without worrying about any ill effects that they might cause — because there aren’t any. You can have a fey bigarad tea today and tomorrow you can go for a lanmant pti fey with the same casual ease that you toss back a Pepsi or a fanta knowing that at least your infusion is bereft of sodium metabisulphate, that it is pure nature’s drink of premium quality. Over a century ago, our ancestors found relief and solace from those leaves. They knew, somehow, that nothing else but nature only could have the power to restore their health after an illness, any illness. They were not wary of drinking an infusion of begonia flowers for cough or an infusion of bazilik gran fey for the relief of flatulence. Our grandparents may have been illiterate but they were wise. New Age health pundits and charlatans alike proclaim the virtues of Aloe Vera as a specific plant for particular illness with mind boggling confidence and astounding conviction. No doubt, our grandparents’ knowledge of traditional medicine must have saved more than a few lives before the opening of a modern hospital in 1924. It’s really a wonder. One marvels the facts that out there among our scrubland and brushwood are remedies for many ailments. Some are widely known and many perhaps more so are still relatively unknown. So if ever you are under the weather, slightly indisposed or even violently nauseated, do like old man Polixene of Takamaka, toss off a mug of gerivit. “You must have more confidence in what nature places at our disposal,” he tells me, taking a swig. “And it’s all free”. Yes it’s free. And gerivit, means of course ‘heal fast’.